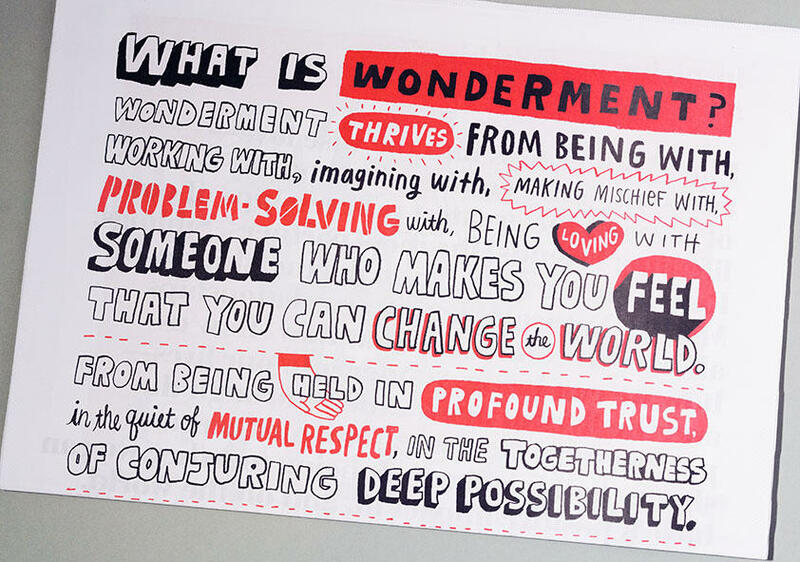 Plus Wonder is a not-for-profit initiative inspiring partnerships for a better world and a better life through conversations, films, digital platforms and books. They've compiled over 50 interviews of friends, business partners, siblings and romantic partners. 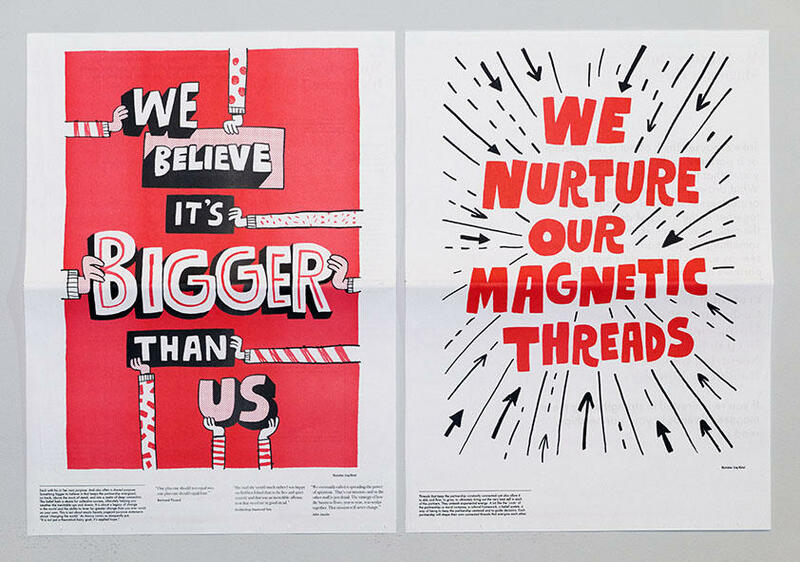 From these interviews, they've identified the major threads that keep people connected throughout the years. 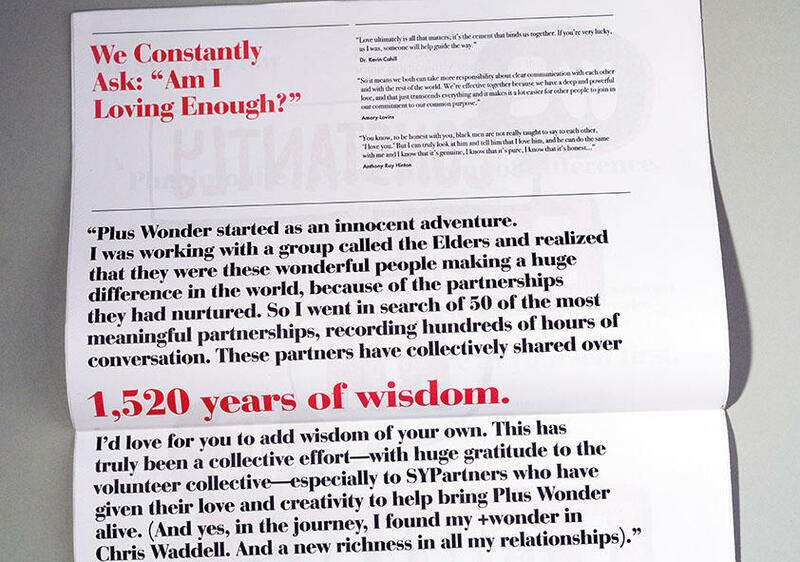 R&S managed production of a 48-page tabloid newspaper filled with exercises and quotes from Plus Wonder's archives for use in workshops they're hosting all over the world, including most recently at TED Women in New Orleans. We coordinated all aspects of production, from early decisions on form factor to creating print-ready files and managing the relationship with the printer.